The attractive, one-inch, reddish/brown flowers appear before the leaves in spring, but it is the shiny magnolia-like foliage that really makes this a handsome tree. 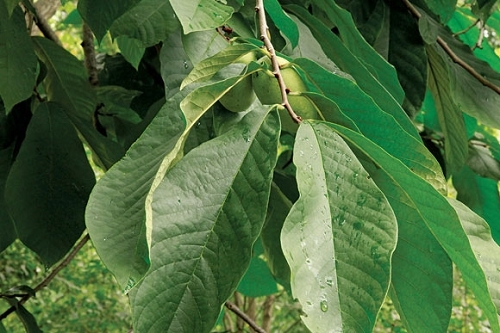 The pawpaw is and understory tree and prefers good soil in low areas. It produces an edible, sweet fruit in the fall that tastes somewhat like a banana. This is a host plant for the zebra swallowtail. It does spread a little by suckers; however, those suckers can be controlled with an occasional mowing. 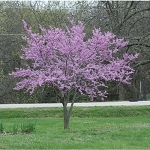 Q: While doing some research, I found you should buy at least two trees that are not clones or siblings for pollination. How can I be sure of this if I buy both from you? A: We grow ours from seed. This ensures that they are not clones.